Supertweet » Blog Archive » Lousy photos, but proof–so THERE! Lousy photos, but proof–so THERE! The photos from the first flight did not come out, but someone had a camera that caught the A37 in the air for the first time in decades. This entry was posted on Friday, January 11th, 2013 at 9:36 PM	and is filed under N87921 Restoration. You can follow any responses to this entry through the RSS 2.0 feed. You can leave a response, or trackback from your own site. Congratulations! It’s been a long road and I’ve enjoyed hearing the stories. Now you go out and enjoy the new airplane! Thanks Phil. Doing some instrument work (necessary before next flight), as the AI and gyro compass went tango-uniform. But another week in the shop and it will be back to flight testing and finishing the FCFs. CJAA meeting in Feb, will see you there. Way to go Charlie! It is just fantastic to see photos of that magnificent bird in the air! Fantastic!!! Can’t wait to see it in person! Congratulations to a loooong job! All the best to you and your magnificent acheivement. Few men can share the magnitude of what you have done. Sierra Hotel! O.K. I take back all the disparaging insults, negatory comments, and unkind descriptions of your dedication!!! I just moved my T-37 model(thanks again) to the front of my shelf. Gotta be very Proud!!! Congrats. DocB.. Tally Ho!! O.K. 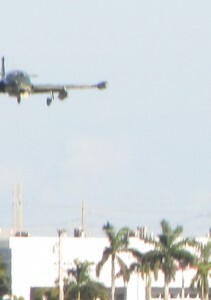 so it is an A-37 I believe that was one (T-37!!) of the unkind remarks I made years ago……My apologys docb…..
OK Doc. Bets are off the table. The plane has flown, for real, so everyone can stop wondering if this thing was ever to fly. And you, YOU, should be ashamed of yourself for calling an A model a “T” model. Downright insulting. Congratulations on your first flight. I can’t wait to see it in person. 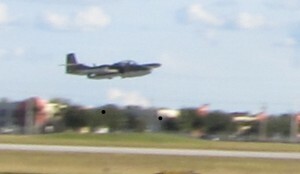 Hi there – Will you be in any upcoming airshow in FL?